NYSERDA launched the Agriculture Energy Audit Program in March 2016. The Program offers farms and on-farm producers no-cost energy audits that provide recommendations for energy efficiency measures. 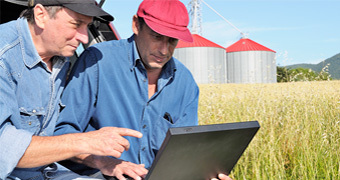 Energy audits are important tools to help farmers make the best decisions for their operations and to help them become economically and environmentally sustainable. In addition to providing energy audits, the Program also provides assistance identifying and obtaining funding for implementation of the measures identified through the energy audit. NYSERDA’s program implementer, EnSave, will offer guidance to determine the appropriate measures to install and programs available to assist with the implementation of those measures. Funding for audits is available on a first-come, first-served basis. Call 800-732- 1399 or email aeep@nyserda.ny.gov to discuss program options and obtain an application.